This weekend, our Church, The Church of Jesus Christ of Latter-Day Saints, will be joining together in a General Conference. It's a weekend of relaxation and inspiration! I am looking forward to a bit of family fun along with a little rejuvenation for my soul. BUT... it doesn't always work that way for a busy toddler. 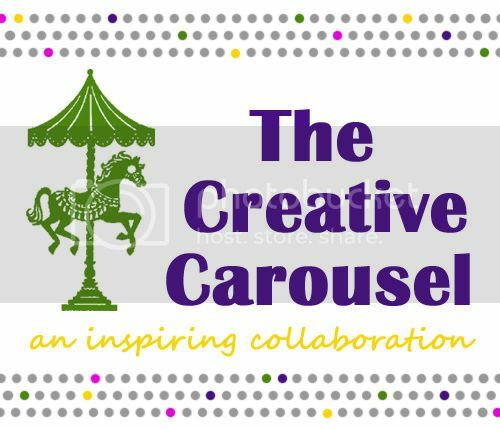 Conference snuck up on me this year, but I have been busting my brain to come up with some last-minute projects to keep my son and nephews occupied. Little Man is very visual and loves pictures, so I wanted him to become familiar with the pictures of the leaders of our Church. 1. 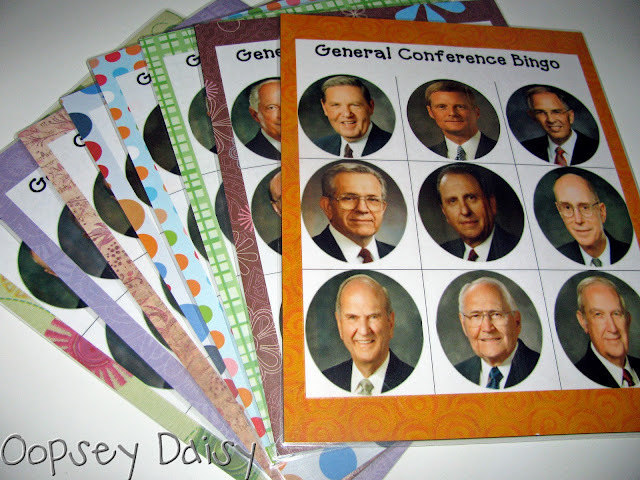 General Conference Bingo First of all, I created these General Conference Bingo boards. Basically, when the speaker delivers his talk, you can mark that person on your board! 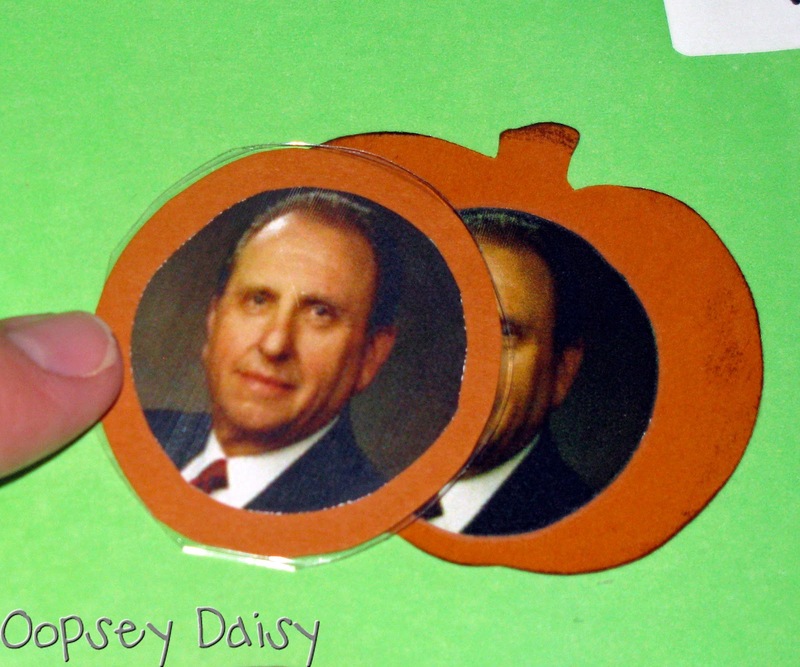 It only takes 3 in a row to win Bingo in this game, and President Monson is in the center of each board. I am sure we'll use M&M's or some kind of tasty treat to mark our boards. You can download your own set of 8 General Conference Bingo boards here. Each board is different. Just download, print, mount on some fun scrapbook paper or cardstock, and laminate for durability. 2. Photo Stickers! Next, I wanted to try out sticker paper once and for all! I created these circular photos of the General Authorities and just printed them out on sticker paper. You just have to cut around the stickers and you're done! I can't wait for Little Man to see this! He loves playing with stickers. You can download your set of General Conference faces here. I used the same photos for the next couple of projects, but I printed them on regular paper instead of sticker paper! So if you're interested in the next couple projects, you can use the same download. 3. File folder game. 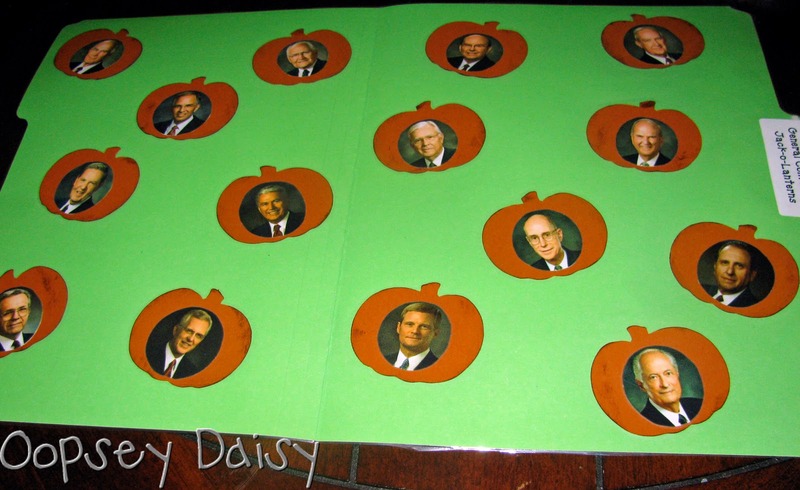 I printed out 2 sets of photos to create this little pumpkin patch file folder game. 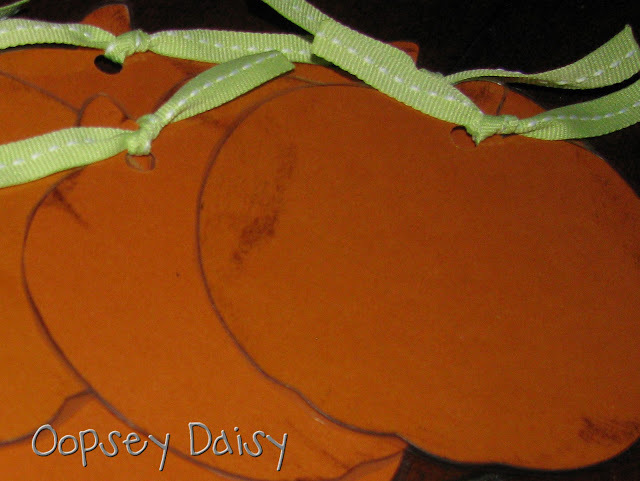 I cut out these little pumpkins on my cricut, but you could easily create a pumpkin pattern. You'll need 15 pumpkins in all for the First Presidency and Twelve Apostles. 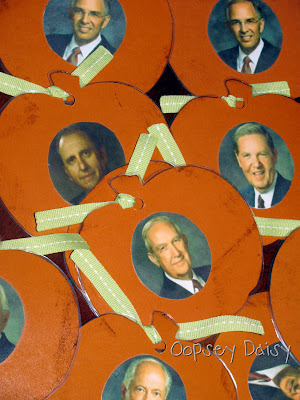 I mounted one set of faces on pumpkins, glued them onto my file folder, and laminated it. I also laminated a second set of faces to match. That's easy enough! 4. General Conference Match. I wanted a cute pumpkin theme for this game, so I cut out some larger pumpkins on the cricut. This time, I cut 30 pumpkins and distressed them all. 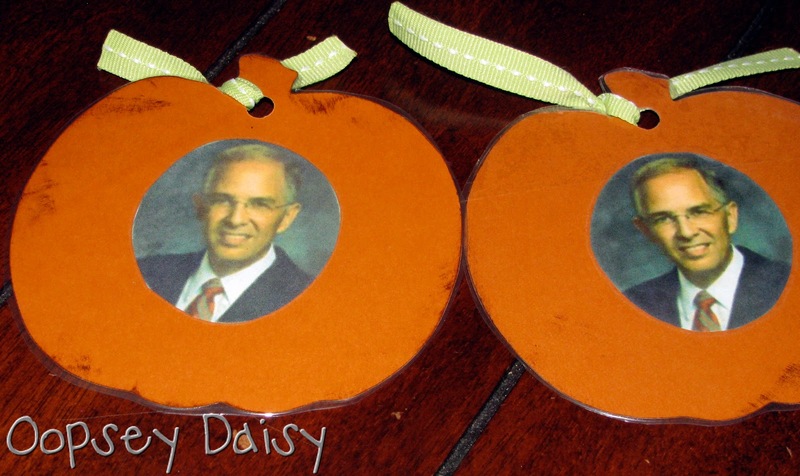 I glued a photo to each pumpkin. Again, I cut out 2 sets of photos (2 of each!) for the game. After laminating them, I punched a hole in the top and tied a green ribbon through the top to look like the pumpkin leaves! That's a lot of pumpkins--30! I am thinking of storing them on a book ring to look through also. This will be a great way to learn those new faces! I am so excited for General Conference now... bring on a weekend in jammies!! I hope you can find some kind of activity or tweak one to fit your family! Be sure to let me know if you use one... I'd love to hear about it! Thanks for posting this. I am just realizing that I need something like this too. I love love this! I wish I had more time before tomorrow to do it. THank you so much! Ooh, thanks for sharing! I think I'll use the faces for a year-round matching game. Perfect for sacrament meeting. Thanks! Looks like you have some fun things planned! We always try to do some fun things also for this weekend. Yummy snack foods and I am prepping with my activities also. Love your ideas. Thanks for sharing your downloads. I have put this off this year too! Hopefully I can get something done in time! Funny.. I am a member of the church in Denmark.. Love the idear.. Thanks Alison, my boys will go crazy over the bingo game. Ah heck. I went for it and printed it up…I only had to go to the mall to refill my ink cartridges but I did it. I am so excited for my kids to use them tomorrow and Sunday. I didn't however have time to laminate them but put them in plastic binder sleeves. THank you so much for the printable! 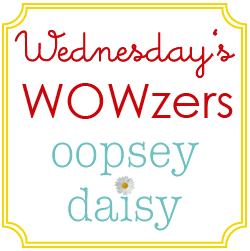 Just found your blog and added you to my google reader! 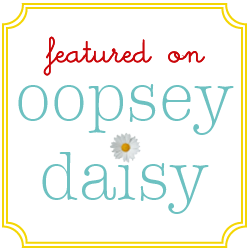 I cannot wait to read more, it sounds like you have some awesome ideas!! I love it! I stumbled upon your post after I tried my best to do something similar on my own. Thanks for all the great ideas! I'll definitely be coming back here instead of trying to reinvent the wheel! These are AWESOME! Thank you thank you! Thank you for this! We used to play Apostle Bingo as kids and I loved it!!! I am actually working on making my own bingo boards and it isn’t working that well so I found this just in time–thanks to Pinterest! I just clicked on the link and the boards won’t load for me (I don’t have permission?) but I will try to figure it out. I got it to print. Thank you again! Thank you so much for sharing this! I will be back during nap time to print this 🙂 I linked back to you for my Friday 5, have a great weekend! I would LOVE to get the pdf of these bingo cards! Or updated ones? The ideas look great, but I can’t find a way to download them. Help? Hi Jacque. The first link was working fine, but I just updated the other link also. Just click where it says “download here” and you will be taken to the Scribd download service. Hit the orange “download or print” button. I hope that helps! These activities are great! 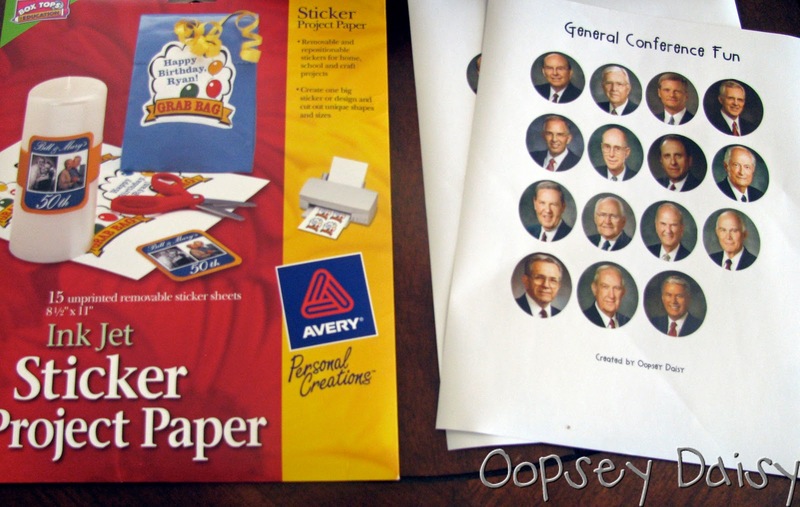 I’ll be adding the sticker idea to my other toddler General Conference ideas that I have posted on my blog. Great matching game idea to learn the apostles! 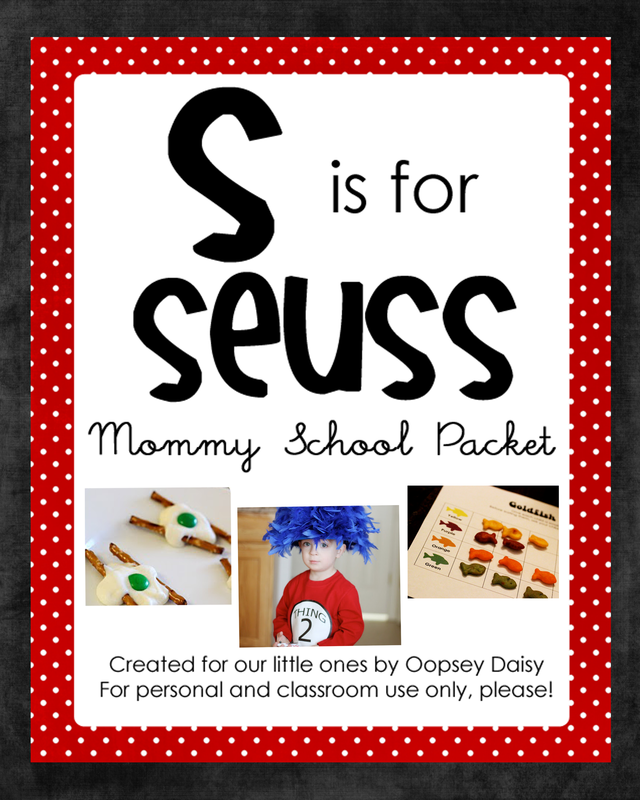 I’m going to make one for my 3 year old this weekend. Thanks for sharing!